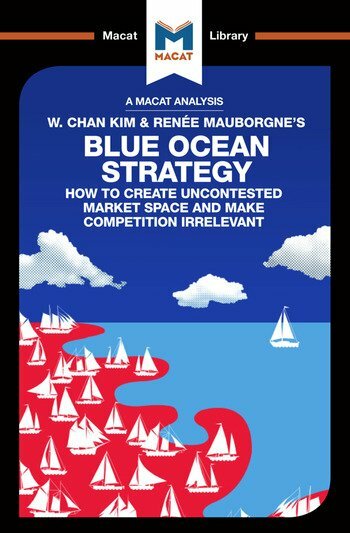 In Blue Ocean Strategy, W. Chan Kim and Renée Mauborgne tackle the central problem facing all businesses: how to perform better than your competitors? Their solution involves taking a creative approach to the normal view of competition. In the normal framework, competition is a zero-sum game: if there are two companies competing for the same market, as one does better, the other has to do worse. The authors’ creative leap is to suggest one can beat the competition by not competing. Companies should avoid confronting competitors in crowded marketplaces, what they call “red oceans,” and instead seek out new markets, or “blue oceans.” Once the blue oceans have been identified, companies can get down to the task of creating unique products which exploit that market. Chan and Mauborgne argue, for example, that a wine company might decide to start appealing to a group previously uninterested in wine. This would be a “blue ocean” market, giving the winemaker a huge advantage, which they could exploit by creating a wine that appealed to the tastes of a beer-drinking demographic. A classic of business writing, Blue Ocean Strategy is creative thinking and problem solving at its best. Dr Andreas Mebert holds a PhD in business administration from the University of Manchester. Stephanie Lowe holds an MSc in global media and journalism from the London School of Economics.